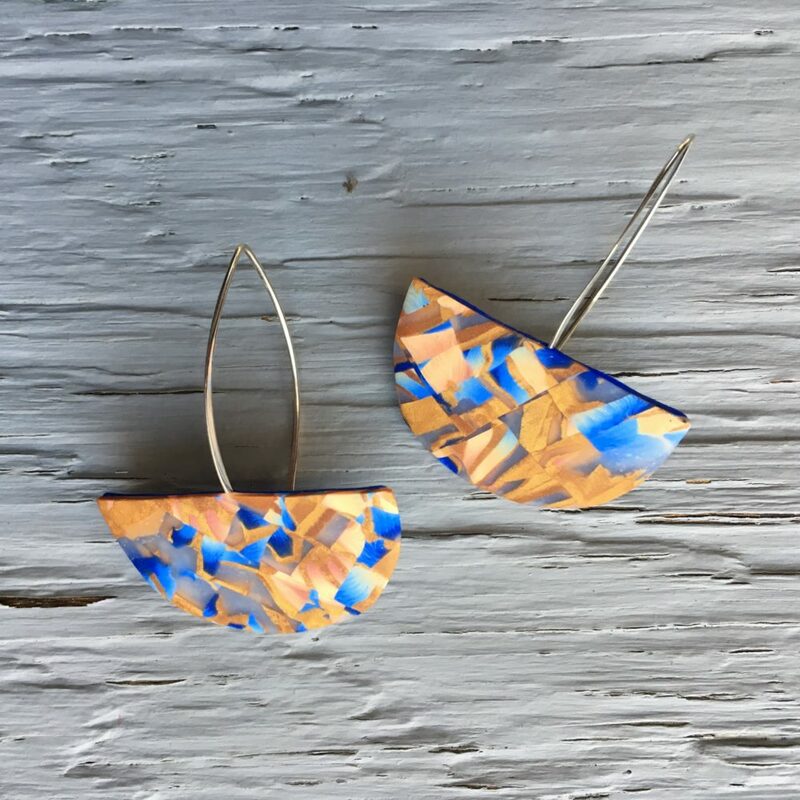 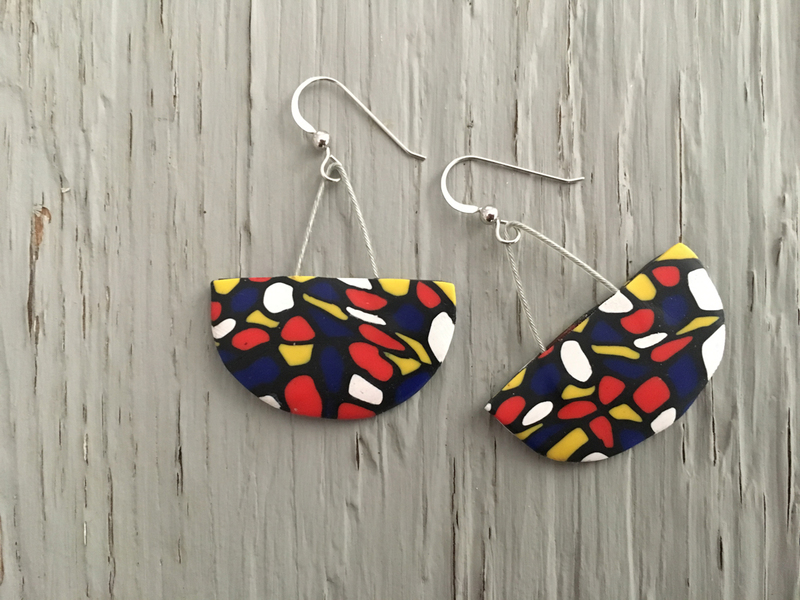 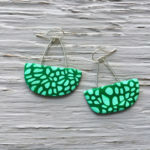 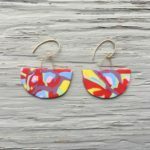 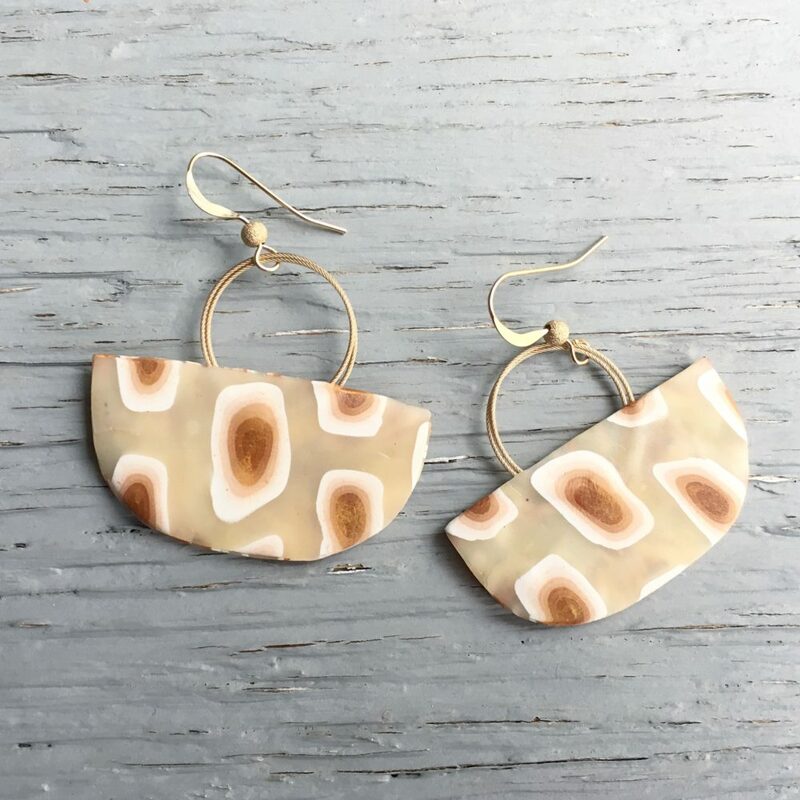 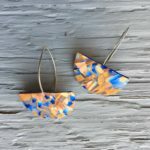 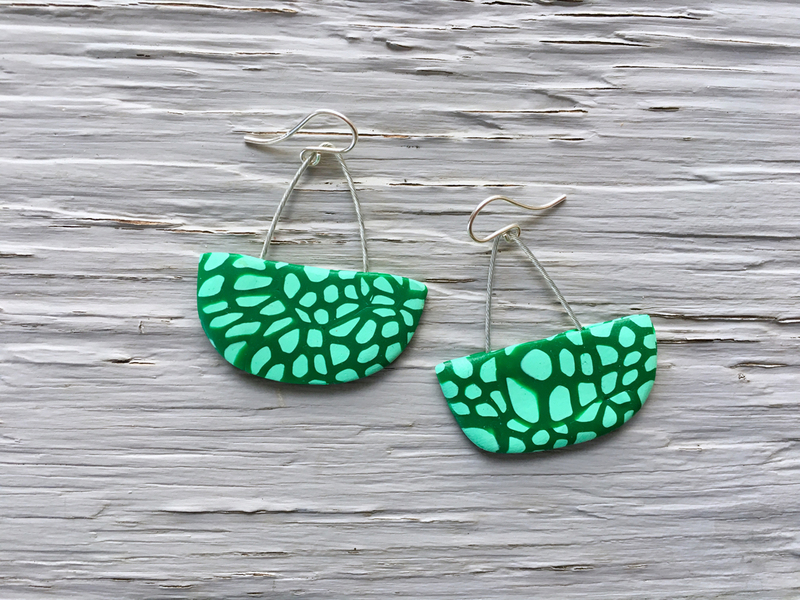 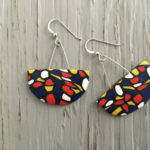 The playful Wiggy Waggy earrings are made for motion! 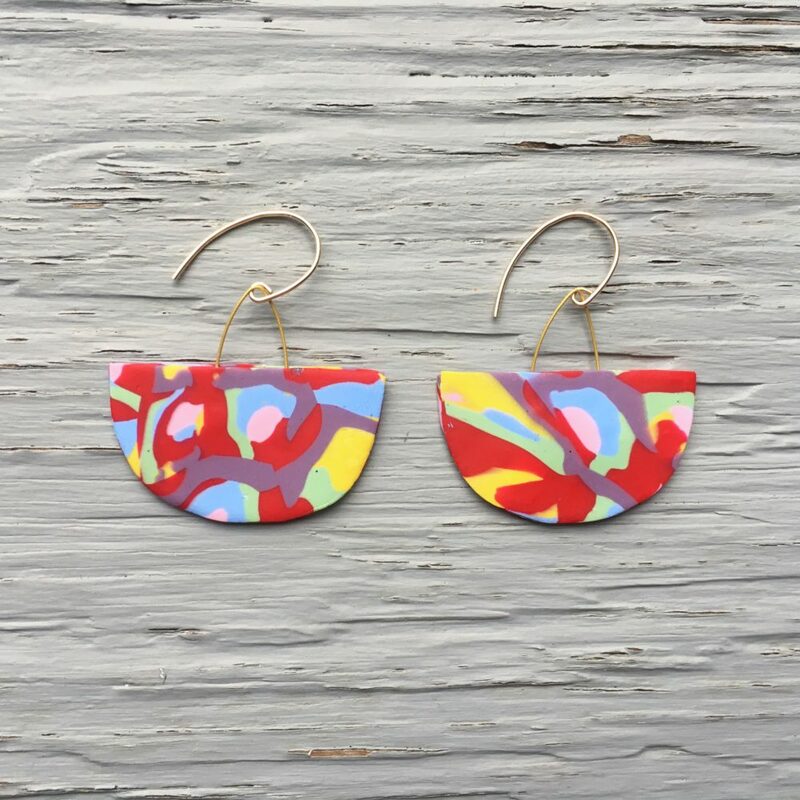 The unique half-moon shape can be sculpted on a sterling silver or 18k gold filled earwire or on 10lb beading wire so they can swing to and fro. 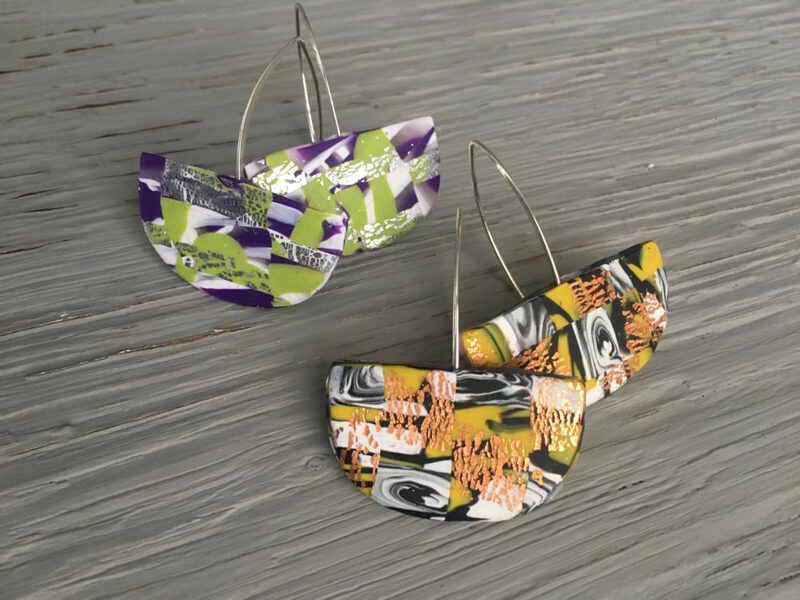 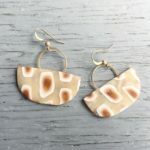 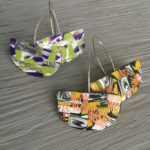 To commission the “Wiggy Waggy” earrings, please include a note stating your desired structure (stationary or swinging) and color scheme/pattern.